The British Indian Ocean Territory Administration is running a competition for children aged 4 – 17 years old to design an official postage stamp for the British Indian Ocean Territory. The design theme is “Why are coral reefs and oceans important?” Four lucky winners will have their very own drawings featured on official stamps. The closing date for design entries is 11 May 2018. You will need to create your design on the official entry form and send it in with a consent form, which must be filled out by a parent or guardian. The competition prize will be having your design featured in the “Year of the Reef” issue of stamps for the British Indian Ocean Territory. There will be four winning designs, one from each of the following age categories: 4-6 years; 7-9 years; 10-13 years; and 14-17 years. Each winner will receive a framed copy of the first issue First Day Cover (featuring all of the winning stamps) together with two unframed First Day Covers and a certificate from the Commissioner of the British Indian Ocean Territory. If you would like to see some previous issues of British Indian Ocean Territory (BIOT) stamps, you can find them here. We look forward to seeing your creative designs which show why you think coral reefs and oceans are important. Please post all entries to: the British Indian Ocean Territory Administration, Overseas Territories Directorate, Foreign and Commonwealth Office, King Charles Street, London SW1A 2AH. Coral reef environments have the highest biodiversity (variety of plants and animals) of any marine habitat and they can be described as one of the most beautiful marine ecosystems. They are also important for their wave-resistant structure and the shelter they provide to coastal areas. Many communities across the world depend on coral reefs for their livelihood. Although they take up just 1% of the marine environment, they support over 25% of fish species in the ocean. You may think that coral reefs are just rocks but they are actually living organisms. They are tiny little animals called polyps. When polyps die, they harden and new polyps grow on top of them causing the reef to grow. Polyps need to eat to stay alive and eat tiny animals (plankton) as well as algae. This algae gets food from the sun by using photosynthesis and so this is why coral reefs form close to the surface of the water and in clear water where the sun reaches. Coral reefs in the world are being destroyed: they grow at a very slow rate and are dying faster than they can grow. Much of the damage is caused by humans, mainly from pollution, overfishing and climate change. Tourists too can damage the reefs by standing on them, touching them, or with their boats. Coral reefs are slow growing: large reefs grow at the rate of only 1 to 2 cm per year. Scientists think that some of the largest reefs took as long as 30 million years to form. Different types of coral grow into different shapes, looking like mushrooms, or trees, or fans, or honeycombs, or flowers, or even brains! Many coral reefs have turned white (bleached) because they lose their algae when the water gets too salty or warm. If conditions do not return to normal quickly, the corals cannot live without their algae and so they die. The British Indian Ocean Territory (BIOT) is a large and isolated atoll complex, with over 50 small islands and many coral reefs. These islands in the archipelago were formed from coral sand and rock after the last ice-ages. In 2010, the UK Government created one of the largest Marine Protected Areas (MPA) on the planet inside BIOT. All commercial fishing was stopped inside the MPA, which is 640,000km2 of the Indian Ocean. This unique and special place is a safe refuge for 310 species of coral, 821 species of fish and 355 species of molluscs, some of which are found nowhere else in the world. Over 60 species in BIOT are on the International Union for the Conservation of Nature’s (IUCN) ‘red list’ – species which are of global conservation concern. Many of these globally threatened or vulnerable species are sharks. At the top of the food chain, scientists think that these beautiful predators play a fundamental role in maintaining healthy coral reefs. However, on reefs without sharks, numbers of their prey species, also known as mesopredators (fish in the middle of the food chain), increase. This may seem positive, but scientists have found that where there are less sharks there are also less herbivorous (plant-eating) fish, because the increased numbers of mesopredators consume more smaller fish and their larvae. The real impact of all of this is felt at the bottom of the food chain where the herbivores, such as parrotfish, maintain coral reef growth by eating algae: without these fish grazing, newly growing and small corals are vulnerable to being smothered by overgrowth of algae. Although many species of shark are globally threatened, those protected by the BIOT MPA are able to contribute to supporting vibrant and flourishing reefs. The British Indian Ocean Territory (BIOT) has over 1% of the world’s coral reefs – c.60,000 km2 of shallow limestone platform and coral reefs. 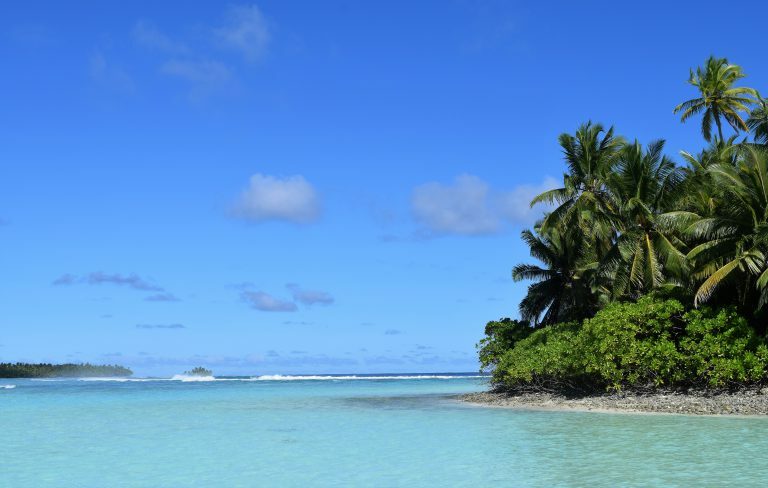 BIOT’s vast coral reefs are composed of five coral atolls, including the Great Chagos Bank (which is mainly underwater) and is the largest atoll structure in the world at some 13,000 km2. Reef fish are six times more abundant in BIOT than on any other reef in the Indian Ocean. Analyses of pollution levels (1996 and 2006) show BIOT belongs ‘to one of the world’s least contaminated coastal areas’ and ‘could be considered appropriate as a global reference baseline’. After bleaching in 1998 caused up to 90% mortality of Indian Ocean coral, BIOT’s reefs ‘recovered more extensively and faster than any other known coral reef system in the Indian Ocean’, likely due in part to a ‘lack of multiple anthropogenic stresses that most other reef systems endure’. The critically endangered hawksbill and endangered green turtle nest undisturbed throughout the two thirds of the BIOT’s coastline (which is of suitable habitat). Diego Garcia (the largest island) is thought to have the highest recorded numbers of coconut crab in the world (294 per hectare). Eighteen seabird species breed in BIOT, five in globally important numbers, resulting in ten islands being classified as Important Bird Areas. Diego Garcia qualifies as an internationally important site for birds (Ramsar site) as it holds more than 20,000 waterbirds annually. Birds are important for marine life too as their nutrient-rich guano, which falls into the waters, attracts large quantities of marine plankton. Species that depend on plankton as a food source (such as Manta Rays) are then naturally drawn to these areas to eat.